If you're looking for a two-seat roadster or a 2+2 coupe, you're probably looking for some combination of style, comfort and fun. In the TT you'll find equally lofty levels of the three. It is very stylish and attracts a lot of attention. I like the style. I like the way it drives. I don't like that it has some water damage to the interior. I don't like that the automatic convertible top doesn't work. Audi TT is a great reliable sport coupe. The Audi TT is a comfortable all wheel drive sport car that loves to take turns with ease. 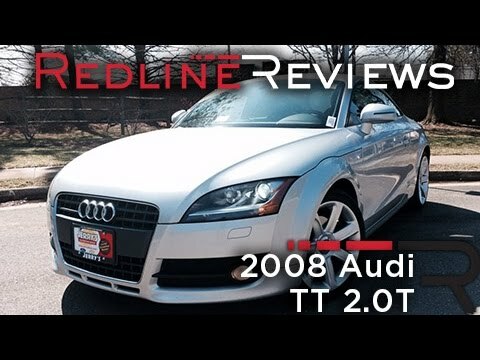 My Audi TT has been very reliable to me and people like my red seats. I love the exterior, size, performance, interior and handling. It is sometimes problematic and have to take it to the dealer more than I like.